The clocks have been flung back and Winter is beginning its approach. The cold and the darkness are creeping in as I find myself wearing multiple layers of clothing. I have survived my annual season of state mandated English Language Learner testing and two back-to-back teaching observations. I am ready to reclaim my messy house (and boy have those piles accumulated since my last school break!) and refocus my energy on my genealogy projects. Sales for Dear Mother, Love Daddy are slow and steady. I have ten reviews at Amazon now, including a 4/5 star one. So far I have only had 5 star reviews, which of course is great, but I like having the 4 star review. It makes me feel more legitimate because, in the real world, not everyone is going to like everything all the time. Overall, the review was positive, but the reviewer left some valid points, one especially that I wrestled with when I was putting the first book together. The reviewer felt that the book ended abruptly. So, I ask, where should each book end? For me, I have had to juggle manageable chunks of the letters so that they would fit into a book vs. a daily post on the website. My original concept was to include all the letters from 1942 in one volume. Unfortunately, I soon scrapped that idea because the first volume would have been over 600 pages, making the cost of the book prohibitively expensive. I want to remind all my readers that my book is not a novel. Life doesn’t have a neat, clean ending. While I want my readers to enjoy the letters, my primary purpose is to preserve the letters and make them available to fellow historians, family members and descendants of the people mentioned in the letters. As I am a historian, I chose not to pick and chose which letters should appear in a “best of” volume. Many of the letters build off of each other, expressing larger arches of tedium and frustration to longing. If one letter is removed, a later detail might not make sense without the complete context. While I encourage everyone to read my book for what it is – a nonfiction collection of letters – I am always exceedingly satisfied when readers enjoy the story behind the historical documents. Currently, I am transcribing letters from February 1944. In many ways, I can see the end of the project, and definitely the end of Roscoe’s overseas deployment. But, he was not discharged from the Navy after he returned home. [Spoiler Alert!] He served in a few more locations around the United States until the end of the war. There are certainly more letters in the collection after he returned to the States. I recently hit the 1,100 mark and I estimate at least 100-200 letters to go…. The second volume of letters has been tentatively titled Lots of Love, Daddy. The book’s name comes from one of Roscoe’s common closings at the end of his letters. This volume will cover the letters from October through December 1942. At this time, the book looks to be at least 400 pages in length. 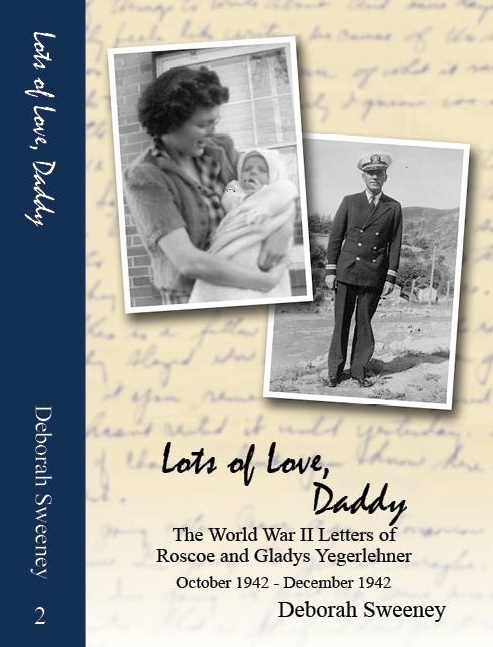 Readers will also get a first look at the letter Gladys wrote after the birth of baby David, describing his birth. The original letter was not kept with the rest of the letters. My father recently discovered it alongside some other documents and letters. It is now reunited with the rest of the collection. This coming Saturday is my monthly volunteer day at my local branch. There was still one reservation slot empty as of yesterday afternoon. My next scheduled day is December 19th. This is a great opportunity, if you are local, to receive free advice from a professional. The main branch of the library also has a similar program with a larger pool of professionals. I just submitted a promo for my next genealogy lecture which will be on January 23rd. For this lecture, I will be discussing the basics of DNA & genetic genealogy. 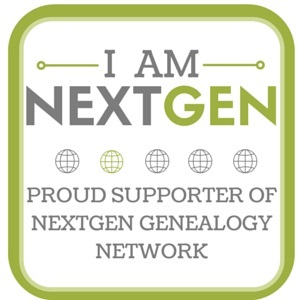 I will use a case study from my own research as an example of how DNA is such a useful tool for solving genealogy mysteries when there are not enough surviving paper documents. November is National Novel Writing Month, or NaNoWriMo for short. While I don’t ever intend to write a fictional novel, I do want to write. 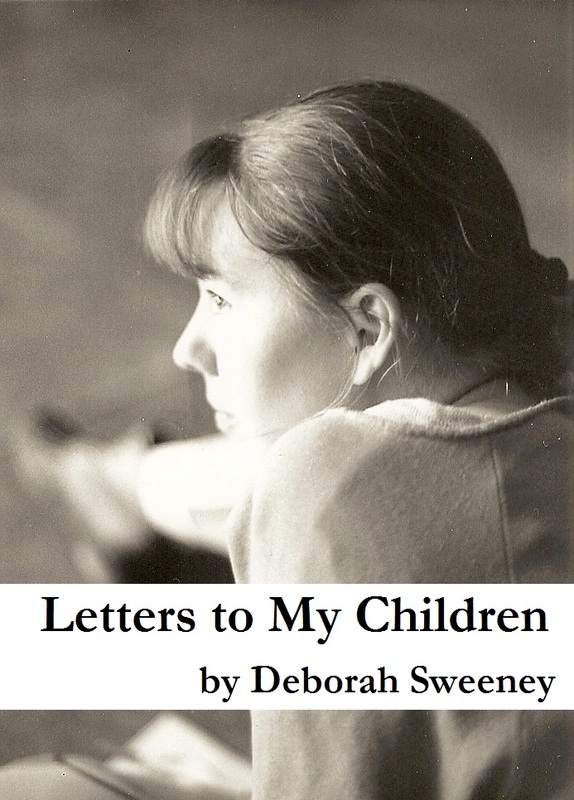 Plagued with thoughts of eventually losing my memories and having descendants wonder who I was, I have concocted a new series of writing vignettes titled Letters to My Children. To read more about the basis of this series, read the original post. I envision a book someday organized by category with sections on food, people, places, events, etc., which were important to me. I really like the idea of writing about people who touched my life. As genealogists, we are always looking for the relatives. Oftentimes, the bigger picture (which includes a person’s associates and neighbors not just the family) is forgotten. I am hoping that my project will inspire others to write their own memoirs and to remember those relationships that are not connected by family ties. Until next month, enjoy a wonderful holiday season with family and friends. Don’t forget to participate in the Great Thanksgiving Listen next week! 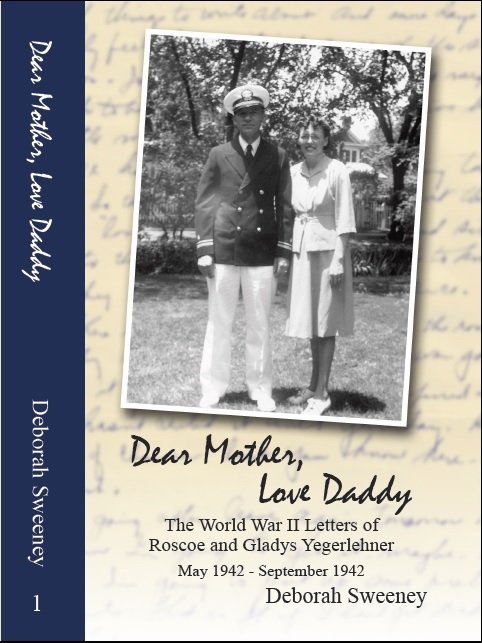 This entry was posted in Dear Mother Love Daddy, DNA, Genealogy on November 19, 2015 by Deborah Sweeney.